“A picture is worth a thousand words” – English idiom. Communication is ever-dynamic – from smoke signals that warn of approaching invaders to tweets featuring chicken nuggets, people have found a medium to share their message. In the digital world, where content is constantly created, one must adapt to the trends that create interest. Imagine what your business can accomplish with a simple selfie station. With your TapMango tablet, your customer can snap a photo and advertise your business to everyone they know by posting a photo to their timeline. In the example below, the customer will be awarded 15 points for their post. If they tap share to Facebook, the customer can choose to post a short prewritten message or a picture through the tablet camera. 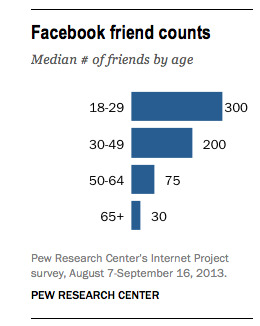 As per PEW Research Center, on average every person on Facebook has a few hundreds of friends. This means that every snap posted by your customer will expose your business to an average of 150 people. However, exposure is far greater amongst millennials due to larger social networks and higher activity on social media. Now imagine what 20 posts in a month can do to your local exposure, by multiplying the reach of 150 people by 20 posts a month, which yields 3000 new impressions for your business. That means that for the cost of 300 points, 3000 people who are local can see their friends shopping at your store, and have easy access to your website. But the exposure doesn’t end here, now your customers’ friends can comment, like and share the photos, so now your customer becomes a brand ambassador for your shop and helps send new customers your way. Our support team works around the clock to help your customers to participate in your initiatives. They have found that the best way to increase customer engagement is by creating an appeal or a competition. Offer your customers an option to win an immediate discount, such as a 5% off coupon or a few dollars off their purchase and many of your customers will be happy to share a photo with their friends. You can create further buzz by offering a prize to the best photo by hosting a themed contest.